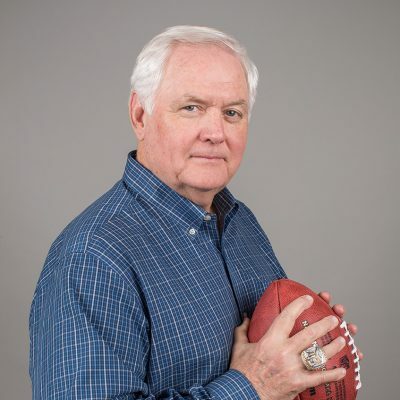 Wade Phillips is an innovative football coach with a long and successful career in the NFL. As Defensive Coordinator, he helped the Denver Broncos win the Super Bowl in 2016 with a smothering and punishing defense, considered one of the best of all time. In thirty-four seasons as both a coordinator and a head coach, Wade’s defenses have finished in the NFL top ten in twenty-four of them. In 2015, the Associated Press voted him the NFL’s Assistant Coach of the Year. Wade is currently the Defensive Coordinator for the Los Angeles Rams. Vic Carucci has covered the NFL as a writer and broadcaster for thirty-seven years. Vic covers the NFL for the Buffalo News and is a regular co-host for SiriusXM NFL Radio. He is a former columnist for NFL.com and NFL Network contributor. 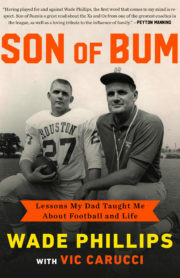 He has received multiple honors from The Associated Press and the Pro Football Writers of America. He is the author of nine previous books about pro football.